Of late though, the view on chocolate for the skin has taken an about turn. 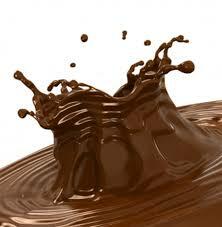 High-end spas all around the world have introduced the latest in skin care – chocolate spa treatments! From soothing chocolate massages and body wraps to indulgent chocolate facials and invigorating chocolate body scrubs, suddenly chocolate is everywhere. Using cocoa-based creams, lotions, and oils, you can now choose to get your chocolate fix without the calories.